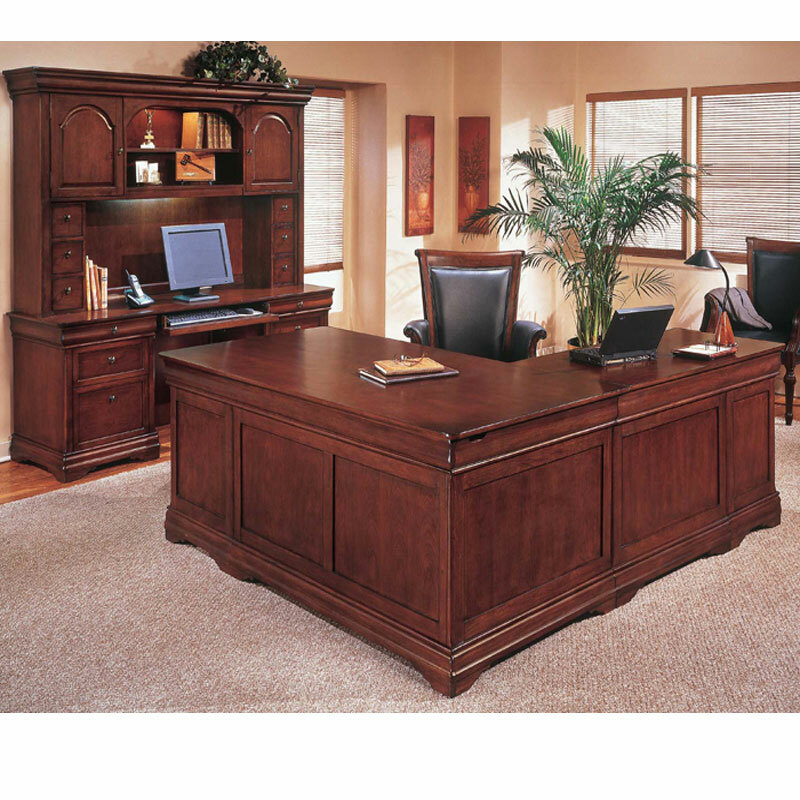 This Rue De Lyon executive office set is quality crafted with maple solids, select hardwood detailing, and American cherry veneers, finished in a rich Chocolate Patina. Desk is shown with a center drop front drawer and two pedastals. Each pedastal includes a felt lined box drawer with pencil tray, box drawer with dividers and a file drawer.